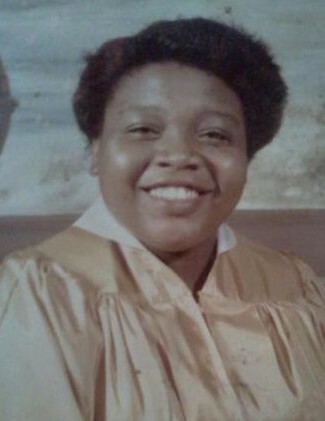 Ms. Edna White Canty, 57, of Charleston, SC, entered into eternal rest on Friday, April 5, 2019. The relatives and friends of Ms. Edna White Canty are invited to attend her Home-Going Service 12:00PM, Saturday, April 13, 2019 at the Chapel of Murray's Mortuary, 4060 Rivers Avenue, North Charleston, SC. Viewing will be held Friday, April 12, 2019 from 3:00 PM - 5:00 PM at the mortuary. She was preceded in death by her mother, Jean White. Ms. Canty leaves to cherish her loving daughter, Nakia White-Hazel (Montez); her father, Samuel White, Sr. (Mae); her siblings, Sylvia White Reid, Richard White, Francis Wright, James Grant, and Hazel Hennigan; grandchildren, Makayla and Mason Hazel; and a host of other relatives and friends.